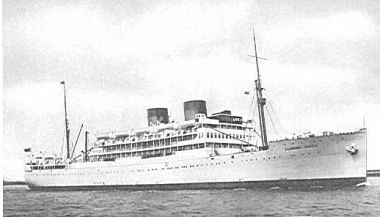 Llangibby Castle (Union Castle Mail Steamship Company Ltd official number161329) from Mombassa sailed to London on the 8thOctober 1947 on board were a hand full of missionary nuns. The nuns from the Polish order of the family of Nazareth opened a boarding school for girls in Pitsford Hall in Northampton. 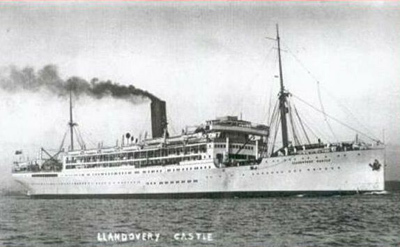 The SS Llandovery Castle (Union_Castle Mailing Steamship official number 148678 ) from Mombasa to London arriving on the 15th of June 1949 had 11 Polish displaced persons on board. Industrial Hostel Bernoldswick Near Colne,Lancs. W,A,E,C, Hostel Patny, nr. Devizes Wiltshire. 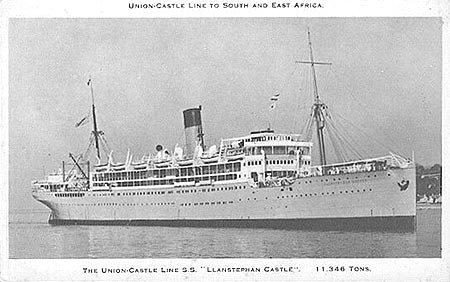 Sailing from Cape Town the SS Llanstephan Castle ( Union-Castle Mail Steamship Company Ltd Official Number 135315 )picked up 15 Polish displaced persons from Mombasa arriving in London on the 13th November 1947. 240 Łopko Łucia 66 Housewife 24, Harrop Street, Chithevoe Lancs.